Broccoli like other vegetables is best eaten raw or semi boil, however over boiling can destroy valuable vitamins, a good way that I like to eat broccoli is semi boil with melted cheese. Here are some fun facts, salads, Vitamins, and healing compounds broccoli has. 1. Broccoli is a part of the cabbage family. 2. The head of broccoli is made up of tiny flower buds. 3. Broccoli can be eaten raw. 4. Broccoli has been around for more than 2000 years. 5. If broccoli is allowed to overripe they will turn yellow. 6. Broccoli contains fiber that aids in good bowel movement. 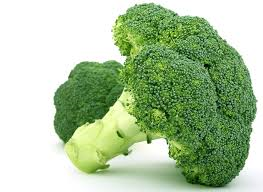 Broccoli contains Vitamin K Vitamin C, calcium, carotenoids lutein, zeaxanthin and beta-carotene. 1. A diet rich in broccoli helps to prevent cancer. 3. Broccoli helps with constipation. 4. Helps to lower blood pressure. 6.Can help persons that suffer from arthritis. 7. A diet rich in broccoli can help to repair damaged skin. 8. Broccoli helps to strengthen the immune system. 9. Broccoli helps in weight loss. 10. Aids in a good bowel movement. Broccoli is one of nature’s wonder that can supply us with nutrients we need to help fight disease and promote good health, so let’s make this veggie a part of our diet. Great post! I always knew that broccoli was good for you, but I had no idea of how beneficially it actually is. Another good way to get the benefits from broccoli without having to make it part of your meals; is by blending them up in your smoothies so that you can mask the taste of it with the other ingredients! Good evening Evan thanks for the follow and for that bit of information. Have a good day. WOW the beet sounds like a wonder food, it appears to full of vitamins, minerals and has a huge range of health benefits. You don’t mention in your post where these claims are proven. Is there any clinical studies proving these. Good morning thanks for the follow, Yes it has been clinical proven about the power off beets you can reseach it by google. Thanks again and have a good day. Thanks for your post and letting readers know the nutritional facts of broccoli and advantages of eating this green rich vegetable. Like many kids, l never liked greens and eating any kind of vegetable was a punishment. when l grew up and knew broccoli can help against so many diseases,l started eating my greens and broccoli is in my plate at least once a week. what with blood pressure and helping with weight loss not to mention things like lowering cholesterol. Thanks so much, l have learned more facts about broccoli than l knew before l got here,tome it has always been a vegetable on my plate,never thought it has been around for so long. Wow. I am just blown away by how comprehensive your site is! You must have been working on it a long time, you have covered just about anything anyone would want to know. I chose to read the article about broccoli because it is my absolute favorite vegetable and after your post, I sure am glad I love it! Also, I must tell you, I am vegan and the picture at the top of your site should had my mouth watering!! Thanks for sharing!